Our Bloody Mary Made with Jalapeno Wine Wins Big Awards at Best Bloody Contest! 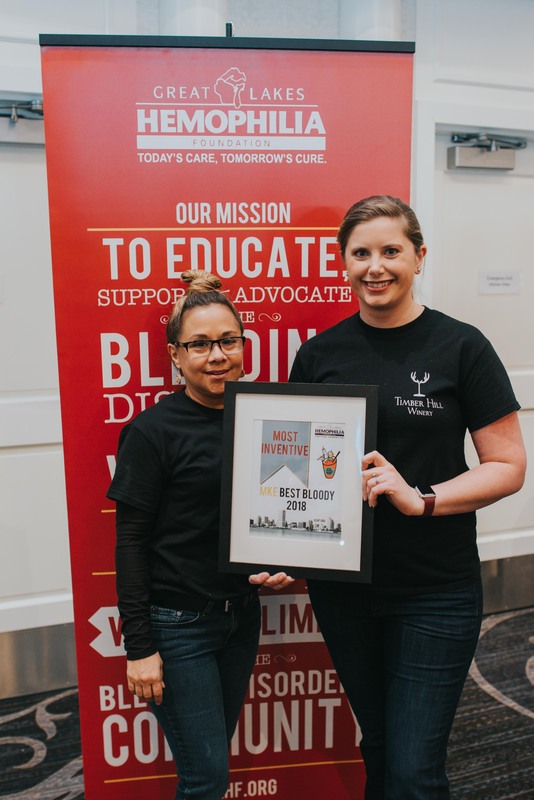 On Sunday, February 25th we faced off bartenders from southeastern Wisconsin with our signature Bloody Mary recipe and earned the titles of Best Mix and Most Inventive Bloody Mary. The funds raised at the sold-out event supported the Great Lakes Hemophilia Foundation programs and services. More than 1,200 guests enjoyed appetizers and voted for winners. What makes Timber Hill’s Bloody Mary truly unique is our Jalapeno Wine. 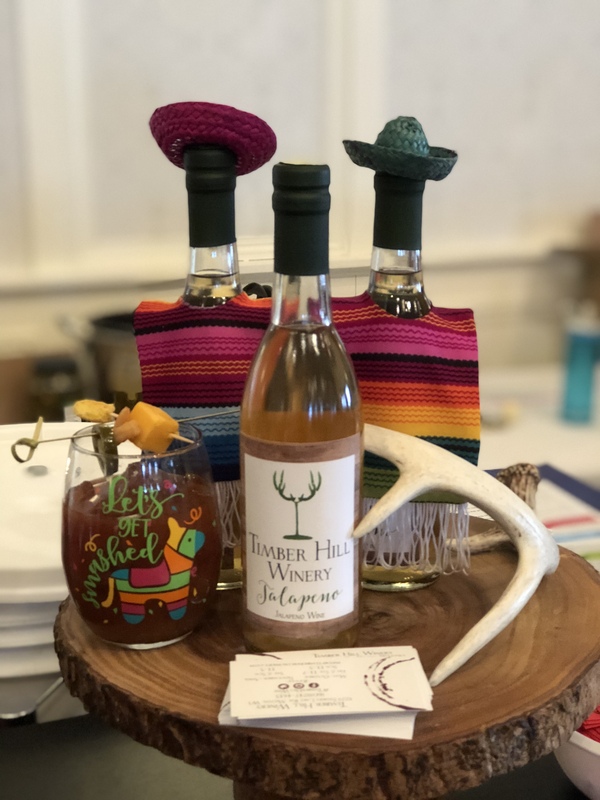 The Jalapeno wine is great to sip on by itself if you can handle the heat, but many of our customers enjoy it in our Margaritas and signature Bloody Mary’s. There is an nice photo recap and video from the event on our Facebook page. This isn’t the first time the Jalapeno Wine has received rave reviews. 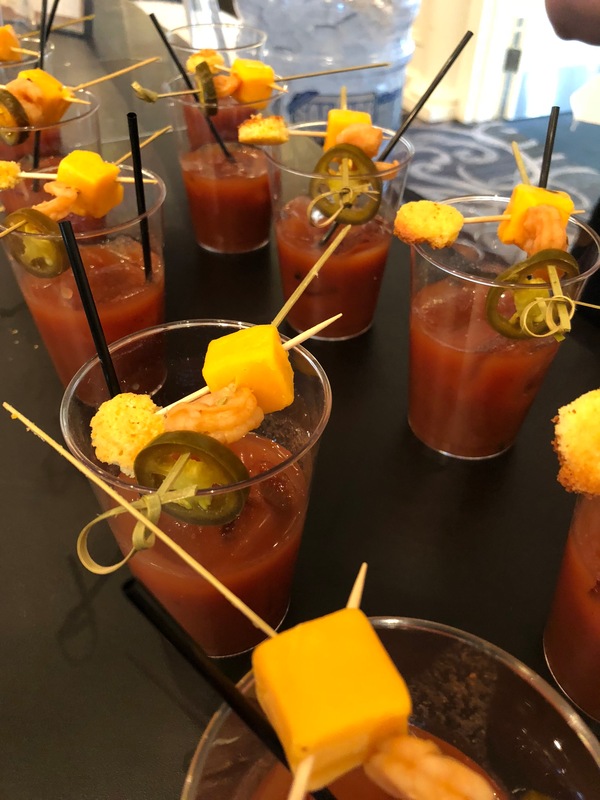 This past summer, judges from the Wisconsin State Fair sampled nearly 100 Wisconsin-made products and our Jalapeno Wine received Judge’s Favorite for the endless possibilities it has to be mixed and cooked with your favorite recipes including a Wisconsin-made Bloody Mary. The wine and Bloody Mary were also featured at the 2017 Chilimania event held in Edgerton, Wisconsin. We are serving our Jalapeno Wine Bloody Mary’s each weekend at the winery. Bring a friend to enjoy a spin on this classic cocktail and sample of all of our wines!